 St. John Pool and Spa provides reliable and exceptional swimming pool and spa services. We are CPO certified. We do not require contracts. We want you to choose and stay with us because of our unmatched quality and professionalism. 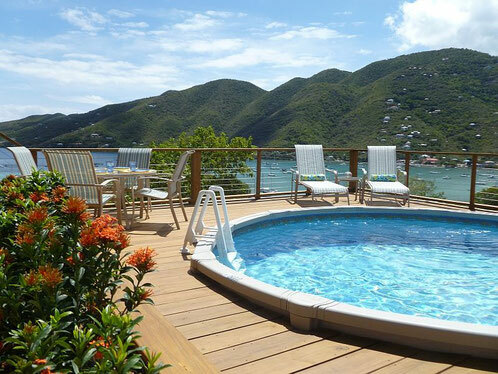 St. John Pool and Spa services swimming pools and spas throughout St. John, US Virgin Islands. Our “Sparkling Clean” Service is the most comprehensive weekly pool maintenance plan in the industry. Our nationally certified professionals will regularly maintain the cleanliness and safety of your pool. The SC Service includes brushing of the floors, walls and steps, skimming the pool and spa surfaces for large sized debris, vacuuming the whole pool, emptying out each skimmer basket and backwashing the filter to ensure the equipment can operate in the most optimal condition. We ensure your water is always sparkling clean and clear. We will maintain and check the levels of water during every visit and fill/empty the pool accordingly. In addition, during our visit, we pay close attention to all equipment, lighting, decking, drain grates and fencing ensuring your pool and spa are safe and efficient. If any abnormal conditions are apparent, we will immediately notify you and/or your Property Manager of the problem areas. Recreational Water use at man-made facilities goes back thousands of years to 1700 B.C. Today, the swimming pool is a mainstay of healthy activity that spans the world. Between 1948 and 1960, the number of U.S. residential pools grew from 2,400 to 300,000. In 2009, there were about 9.4 million residential pools, 6.0 million Spas and 300,000 public pools in the U.S. alone. As the number of pools increases, so, too, does the need to prevent injury, illness, drowning, inefficiency and deterioration. The National Swimming Pool Foundation has emerged as the leading educational and research organization. 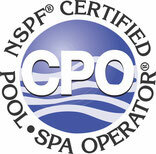 The NSPF’s Certified Pool/Spa Operator certification program is the most current and comprehensive program in our field. Since 1982, over 400,000 people in 98 countries have taken the CPO certification course. A CPO embodies an Aquatic Facility Professional. A CPO has a good understanding of mechanical systems and all if its components. The operator understands how to troubleshoot system components and is responsible for the maintenance of the water quality and are knowledgeable about providing proper disinfections as well as water balance. The CPO never stops learning. There is a continuing effort to attending classes, seminars, training programs and trade shows related to swimming pool/spa operations.